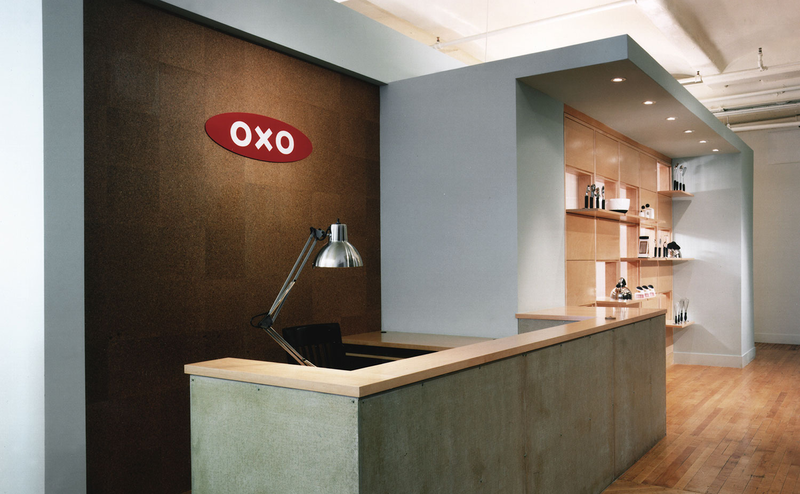 Our design for the headquarters of OXO International was inspired by the rugged yet comfortable functionality of the company’s products. 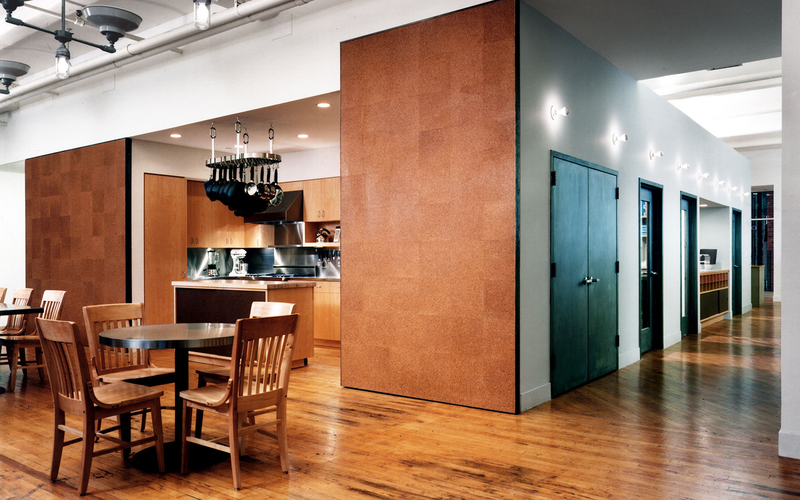 Raw cork, cement board, finished maple, and sheet steel are the materials that form this warm and durable work environment. 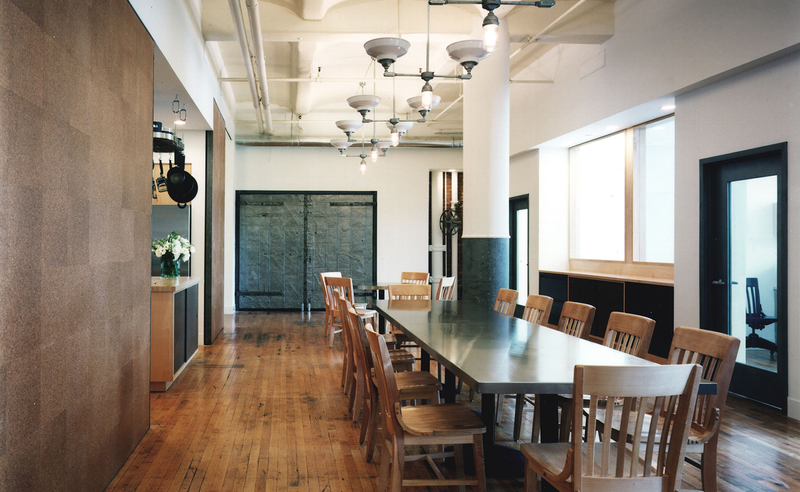 Light fixtures and shelving units were made with simple off-the-shelf parts, and existing surfaces, such as the industrial wood flooring and brick perimeter wall were left exposed. 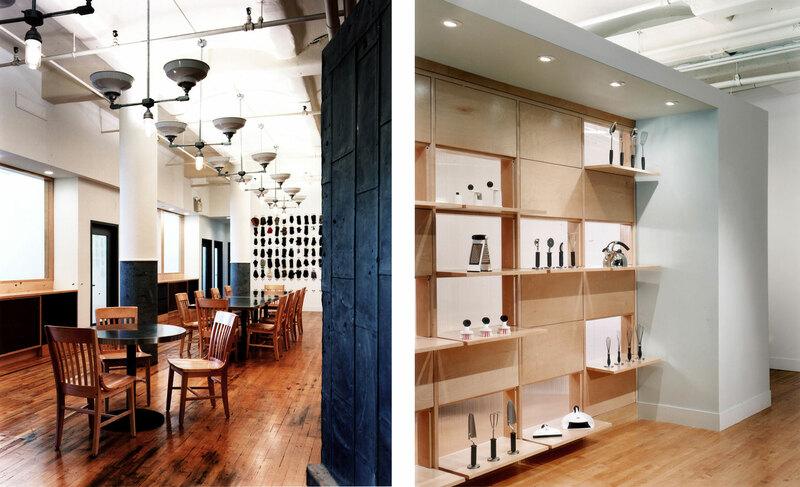 OXO’s “Good Grips” line of housewares is prominently featured at the entry to the space. A custom display wall is fitted with operable shelves that can be configured to allow for a variety of presentation possibilities. 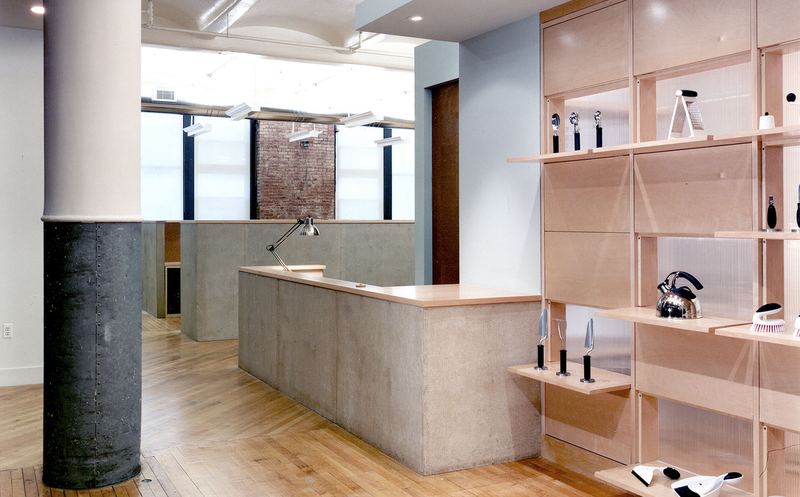 Translucent panels at the back of the shelves allow glimpses of the products from within an adjacent conference room.